Cooking produces emissions that are the source of mess and cost. The emissions include steam, gas molecules and aerosol droplets that range in size from sub-microscopic to large spatters and solid particles. 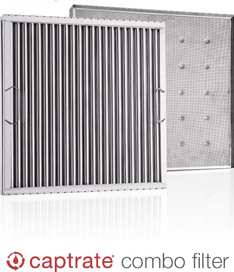 CaptiveAire's Captrate Filter line offers the most effective grease extractors in the commercial kitchen ventilation industry today to help reduce the grease build-up in the hood duct and plenum. The Captrate Filter line, both Solo and Combo, can extract more than 85% of grease above seven microns in size. What do you trust in your kitchen? 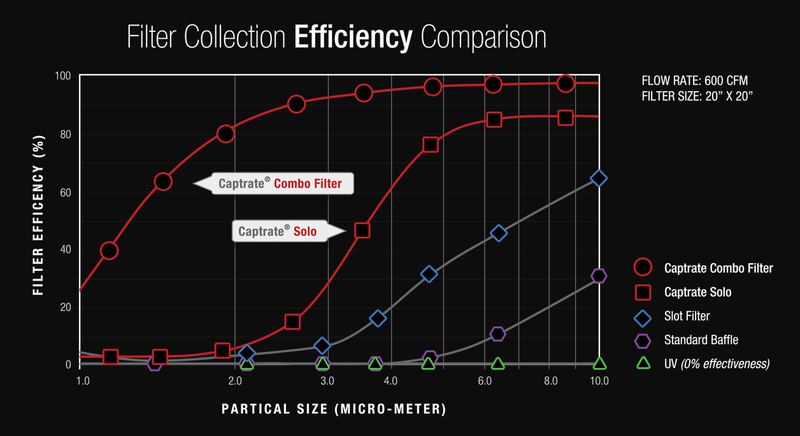 CaptiveAire's Captrate© Solo Filter is a single-stage filter featuring a unique S-Baffle design in conjunction with a slotted rear baffle design to deliver exceptional filtration efficiency of single-stage devices. 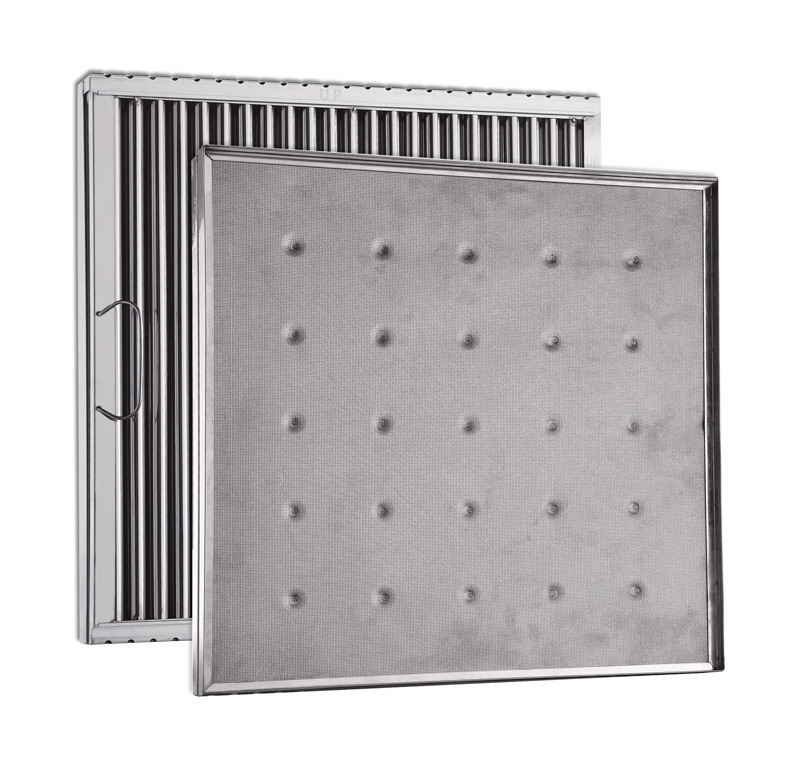 The Captrate© Solo Filters are available in standard industry sizes and are designed to capture and remove a high percentage of the total grease particulate emissions produced during commercial kitchen cooking operations. 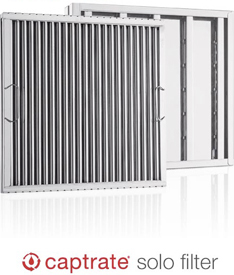 CaptiveAire's Captrate© Combo Filter uses the latest technology in multi-stage grease filtration, delivering unparalleled efficiency for restaurant hood systems. 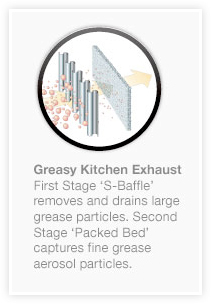 The first stage consists of an optimized S-baffle designed to remove and drain the larger grease particles. The second stage features a packed-bed of porous ceramic media, designed to capture the smaller grease particles associated with commercial cooking. The combined result is a front-end filtration solution delivering unparalleled grease removal efficiency for restaurant hood systems. 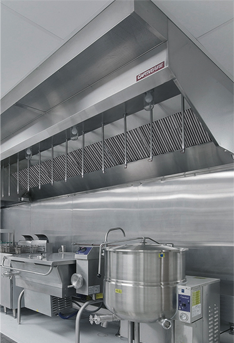 The Captrate© Combo Filter is available for new kitchen hoods and can also be retrofitted into most existing ventilation systems. It will substantially reduce cleaning, maintenance cycles and attendant expenses, providing greater overall cost savings than other grease capture devices or systems on the market today. The Captrate© filter, which is a bed of porous ceramic beads, captures small particles as they are forced through the bed's pathways and then pulls the grease into the beads to prevent clogging. 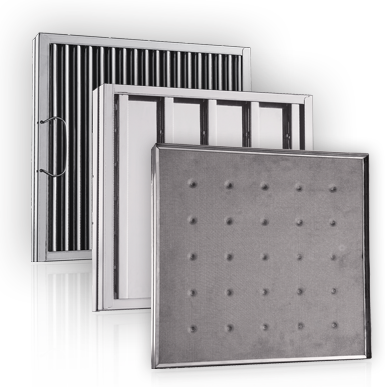 This capture-and-store process as well as the high efficiency, first-stage baffle, which confines more grease than any other baffle, extends the cleaning interval, thereby lengthening the system's run time. The Captrate© Combo filter features a bed of porous ceramic beads to capture small grease particles as they are forced through the pathways of the bead bed. The grease is then pulled into the beads to prevent clogging, which results in a capture-and-store process. 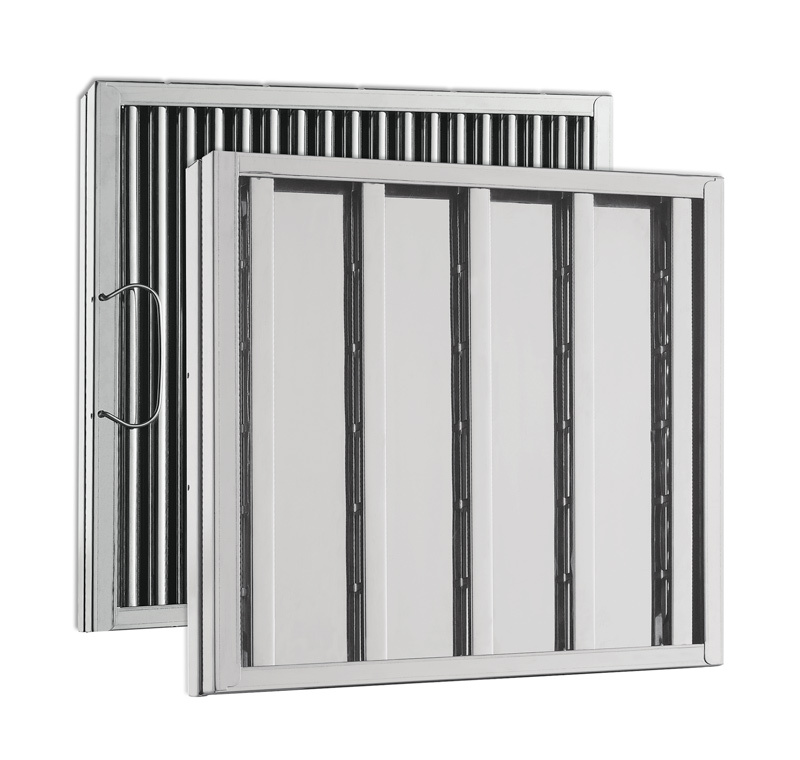 The media bed, along with the first stage baffle filter, confines more grease and reduces the quantity of grease throughout the plenum and duct system.